Bet you didn’t know rhinoceroses have elbows. Or that you can eat them?! Kids can be picky eaters. Mine will generally eat whatever’s in front of them but one evening Davin complained that he didn’t like chicken (total bologna, but you know how kids can be). 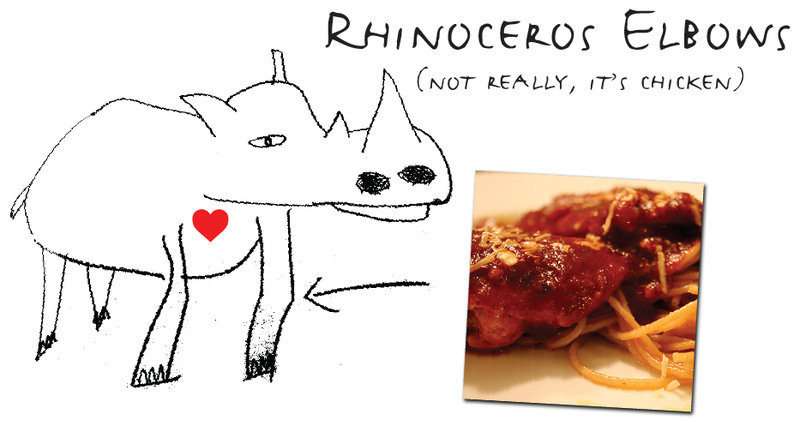 So, the next time I made a chicken dish and he asked what was for dinner, I responded with the first weird thing that popped into my head “Rhinoceros Elbows!” He was excited to try such a funky-sounding dish, ate it, loved it, game over. It’s now a “thing” in our house. But really, I love this dish. It’s beyond easy (only three main ingredients) to make and super flavorful. At first I worried that so much balsamic would be overwhelming but it’s not, it perfectly transforms “another marinara chicken dish” into something unexpected and sophisticated. 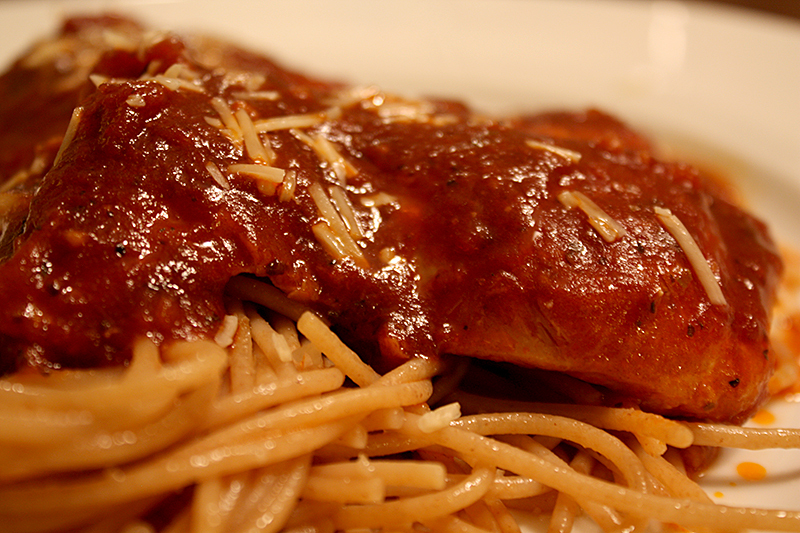 And, despite the silly name, this dish would be perfect for an easy, impressive Valentine’s Day dinner. I usually serve it with pasta or quinoa (to soak up the yummy sauce) and some steamed veggies and a green salad. 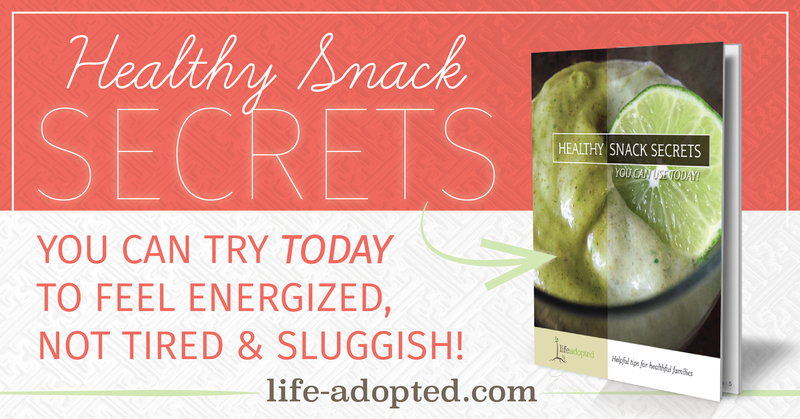 Do YOU have a wacky food story to share? Please join me in the comments below! Easy, bold flavor, tastes like…chicken! While heating, season both sides of chicken with salt and pepper. Once skillet is heated, add 1-2tsp. oil (grapeseed or coconut recommended). Add the chicken and cook for 10 minutes or until it’s well browned on both sides. Remove the chicken from the skillet.